Congratulations on making the decision to become a homeowner. Jeff Wilmoth at Homestar Financial Corp. understands how big of a commitment this is and is here to guide and assist you throughout the mortgage process. 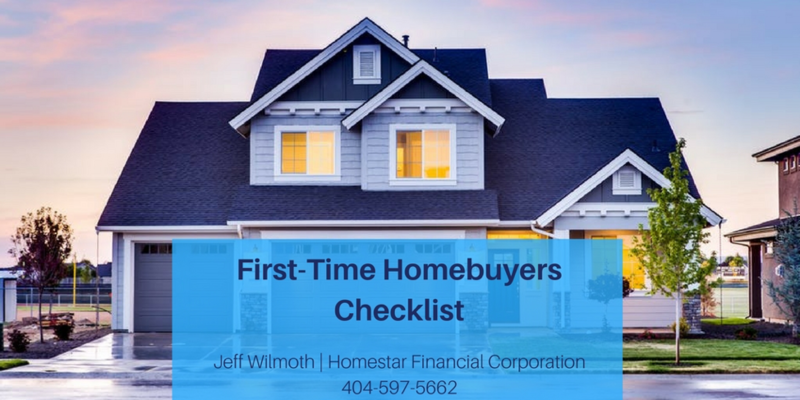 As your local Atlanta mortgage broker, Jeff has provided a useful checklist for all first-time homebuyers. Your income and credit score largely determine the type of rates you will receive on your mortgage. Make sure you are familiar with your credit report so you have a better understanding of what loans you can choose from. If your credit score is lower than you hoped, do not worry. Here at Homestar Financial, we will do everything we can to overcome any obstacles your finances might face. It is not uncommon for there to be mistakes on your credit report. If this is the case, take the time to fix any problems that have occurred on your record before you apply for an Fayetteville or Atlanta mortgage. When shopping the market, take your time in choosing the right mortgage lender. You do not have to stick with the first person you talk to. Instead, shop around to get a better idea of what rates the lenders are willing to offer you. Pay attention to their behavior so you have a better understanding of how it will be working with them. When you get pre-approved, you will be able to know exactly how much you can borrow from a lender. As your local Atlanta mortgage broker, we will be able to tell you what your affordability is. Knowing this amount can save you time when looking at houses because you will know what price range to shop in, and can avoid viewing homes that are not in your budget. The more money you have saved up, the more you can spend towards your down payment. Paying at least 20% of your home’s purchase price can give you better rates on your mortgage. Make sure you have substantial savings for your down payment because this amount is not included in your borrowing price. Working with a real estate agent can help you find a home at a quicker rate. Their knowledge and expertise in the field can guide you on which areas best fit your interest. Talk with your mortgage lender to see which agent they would recommend. Now that you have a basic checklist, you can get started on your Atlanta or Fayetteville mortgage application. 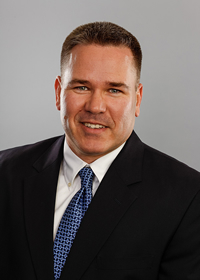 Jeff Wilmoth at Homestar Financial would love to work with you and help finance your new home. So don’t wait, call his office today to get started 404-597-5662.